The truth about socialization is - homeschooling parents don't get enough of it! By joining a homeschool forum, you can receive information and support from the comfort of your home. A homeschool message board is an online community where you can receive advice and encouragement. I have learned much of what I know about home education from years of participation online. Some homeschool forums, like Sonlight, Winter Promise, Five in a Row, and The Well Trained Mind, focus on a certain curriculum. They are great places to ask questions about specific products. Others, like Christian Home Fellowship are targeted to those share religious beliefs or homeschooling methods. The Homeschool Library is a great inclusive board that caters to individuals of all religious beliefs and homeschooling philosophies. 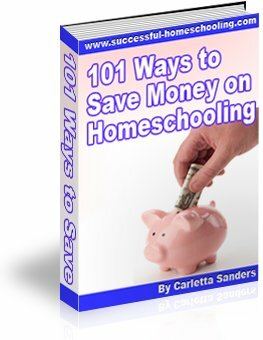 You may have to visit several homeschooling forums before you find one that is a great fit. Don't spend all of your time reading posts, but not posting. (This is referred to as lurking.) Introduce yourself, ask questions and share your thoughts in order to get the most out of the forum. Don't forget to home school your children. Message boards can be addictive. Set a time limit for daily participation and stick to it! Don't avoid hot topics. Sharing your opinions, even if they are unpopular, is a great way to teach others and learn more about opposing viewpoints. Don't take negative comments personally. If a discussion becomes heated, don't resort to personal attacks. Know when to swallow your pride and bow out gracefully. Don't assume everyone is who he or she claims to be. Anyone can hide behind a photo and username. Be careful about how much personal information you reveal. Homeschool blogs are online journals that provide a glimpse into the lives of other homeschooling families. Maintaining a blog is a great way to air thoughts and opinions, share ideas with others and keep a record of your family's activities. Be sure to check out my homeschool blog!